Violent protests in France appear to be taking their toll on tourism, with some visitors choosing to steer clear of Paris after rioting and looting broke out over the weekend. Tourism and transport stocks also appear to have taken a hit, with hotel chain Accor and Air France falling by 1.6 and 2.7 per cent respectively, as per Reuters. The “Gilet Jaunes” (Yellow vests) protesters, who have been demonstrating for two weeks now against the rising cost of living and growing unemployment, led to the forced evacuation of tourist shopping hotspots including Galeries Lafayette, Printemps and Bon Marche, as well as other attractions in the area. Protesters burned cars and graffitied iconic tourist attractions like the Champs-Élysées, the Tuileries Gardens, the Place de la Concorde, the Place Vendôme, and the Arc de Triomphe, in what is being called the worst civil unrest in a decade. Police responded to the protests with tear gas and water cannons, closing down metro stations and various streets in the first, eight, 16th and 17th arrondissements. 130 people were injured and more than 400 have been arrested as a result. The Arc de Triomphe was closed on Sunday and, according to Forbes, won’t reopen until repairs and cleaning are complete after the bottom floor was trashed by protesters and the exterior was graffitied. The Guardian reported that groups of masked men burned barricades, set fire to buildings and torched luxury cars. 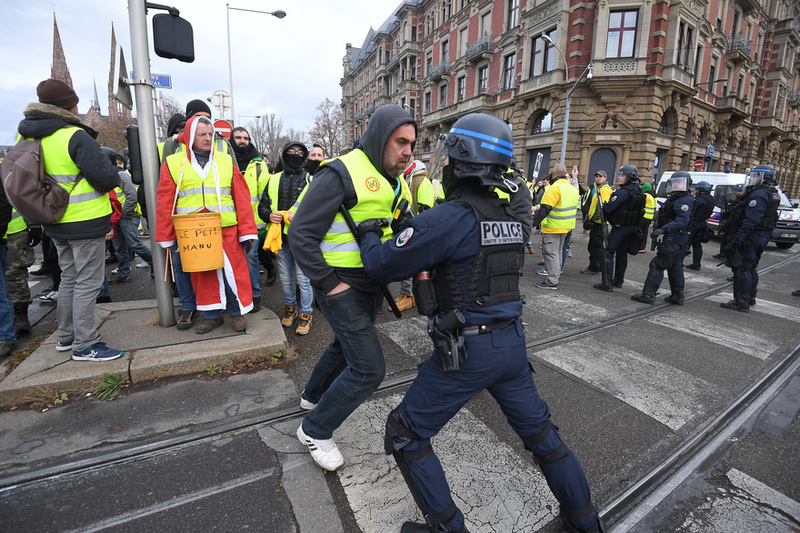 According to the Local, tourists planning to travel to Paris should exercise caution on Saturdays when the protests typically occur but should be fine during the week. “The main thing to take into account is that tourists are not the target of protesters’ anger. It is the government and those employed to keep law and order – the police,” the Local reported.